Heavy Duty Style Mic Stand. 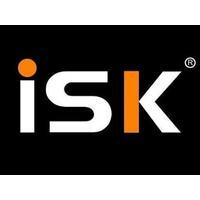 iSK have designed the ARF microphone stand as a heavy duty alternative to a standard mic stands. 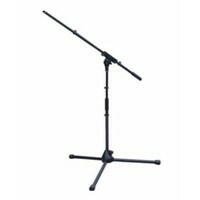 iSK have designed the ARF microphone stand as a heavy duty alternative to a standard mic stands. The tripod base of the ARF stand has support bars (similar to speaker stands) which gives added stability and reduces movement at the top of the stand. The top of the vertical pole has the standard 5/8" thread. The ARF stand is designed to be perfectly suited for mounting the iSK portable RF-2 and RF-5 reflection filters / vocal booths. The booths can be directly mounted onto the 5/8" thread on top of the stand. 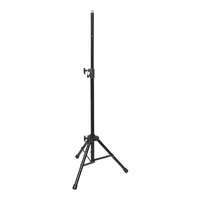 The tripod base of the ARF stand takes up considerably less space than a standard mic stand, making it ideal for use in small studio's or jam rooms. 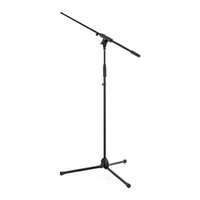 While the tripod base has a smaller footprint than regular mic stands, it is more stable due to the leg supports. 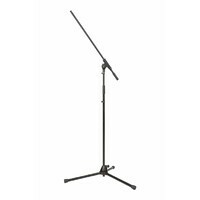 This surely IS a heavy duty stand, solid and stable without being heavy or clunky. 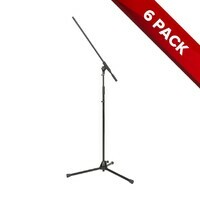 This stand is definitely heavy duty and for the price a bargain. The locking pin is a nice touch, although the screw-in grip will probably provide enough grip for most microphones. A good no-nonsense product. I used this heavy duty stand to replace the Hercules one I had and I have found that it gives better weight distribution for the iSK RF-2 Sound Reflection Filter - Recording Vocal Booth I am using, great product.